Mobile Network Operators affect daily human lives -- and while it might not be as crucial as food, shelter, and clothing, it is a necessity for a majority of the world’s population. That in itself is a testament to how far technology has come and how important it is to everyone’s day to day life. MNOs play a crucial part not just for businessmen, giant companies, and small companies, it is also crucial for regular citizens. With that said, the famous quote comes to mind that “With great power, comes great responsibility.” And that quote proves to be very true for Mobile Network Operators. In this industry, the competition is really tight. It is not just providing the best coverage and fastest speed, it is also about providing the best security. This security is important not just to the network, but for the businesses and consumer subscribers as well. With the ever-growing mobile-first culture, the intense competition between mobile network operators continuously grows. Countless Operators (MNOs) have claimed to be the best, the fastest, the one with the most benefits, the one with the biggest discounts, and many more offers. But how many MNOs can say that they can provide the most secure connection for their subscribers? Not a lot, that one is for certain. By equipping your Network to Cellusys’ Security Solutions, you can be one of the pioneers for providing the safest and more secure connectivity for your customers and subscribers. With the ever-growing risk of data loss and security threats, that is one major asset to have and to boast about. Cellusys Solutions can provide your network with top-notch security platforms. They offer multiple security solutions fully equipped with state-of-the-art systems which will prevent security risks and problems on your overall Signalling. These include, but not limited to, Signalling System 7, Signalling Transport, Diameter and Short Messages Service or SMS domains. From Signalling and SMS Firewalls to SMS Home Router and Parental Control, Cellusys has got you and your customers covered. So, how badly does a Mobile Network Operator need a security system in place? Let's just say that these types of attacks happen on a daily basis without your company even realizing it. These attacks cause major privacy and revenue issues which could put your reputation at risk and cost you thousands of dollars. The Cellusys Signalling Firewall, for starters, helps integrate a multiple layered system with flexible rules that works around the clock to prevent these attacks. The rules system actively monitors your network for any security risk then provide real-time valuable intelligence to help create a new set of rules to identify each attack and prevent it from penetrating your system in the future. On the other hand, the cutting edge Cellusys SMS Firewall solution is focused on protecting your network from Spoofing, Spamming, fake tests, and SMS Phishing or SMiShing. This advanced Tier-1 SMS Firewall is the best and most scalable protection available for network operators and for their subscribers. The Security Solutions mentioned above are just some of the solutions Cellusys has to offer, and those are the best services in the market today. 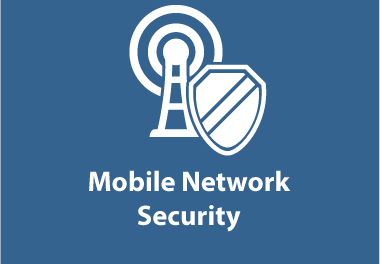 Cellusys' goal is to provide Mobile Network Operators with the best security system possible so they can in turn, provide those for their subscribers, making the tech world safer than ever before. Your company is already investing millions to provide a modern, fast and reliable communication infrastructure for your subscribers, why not offering the safest, most secure communication as well? Cellusys offers your network and your subscribers a protected connection that will keep everyone from losing their privacy and confidential data, and help everyone sleep soundly at night.